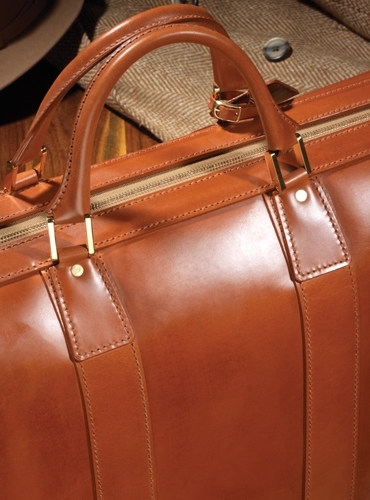 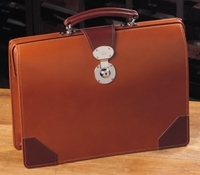 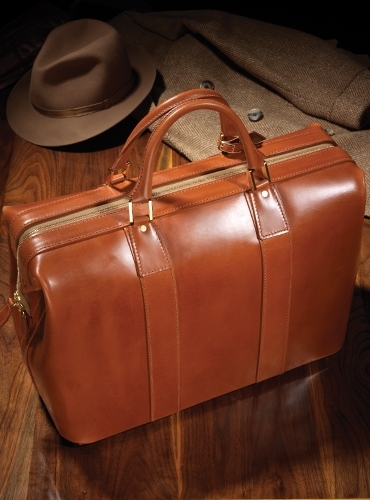 Enjoy our weekender travel bag in hazel bridle leather, which is part our of collection of bespoke English leather goods. 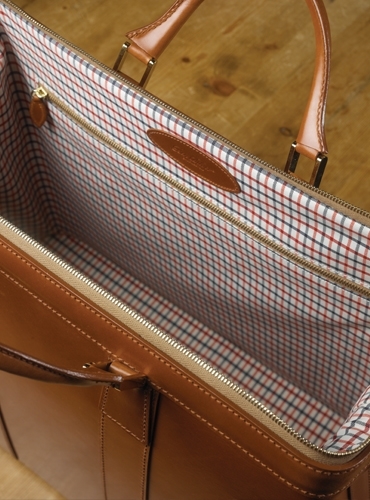 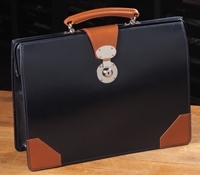 This handsome carry-all is lined in sporting New Market Tattersall check cloth and features brass ringed handles and strap bindings. 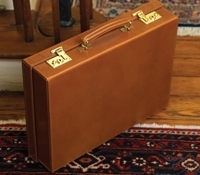 Dimensions: 18'' x 12'' x 9''.